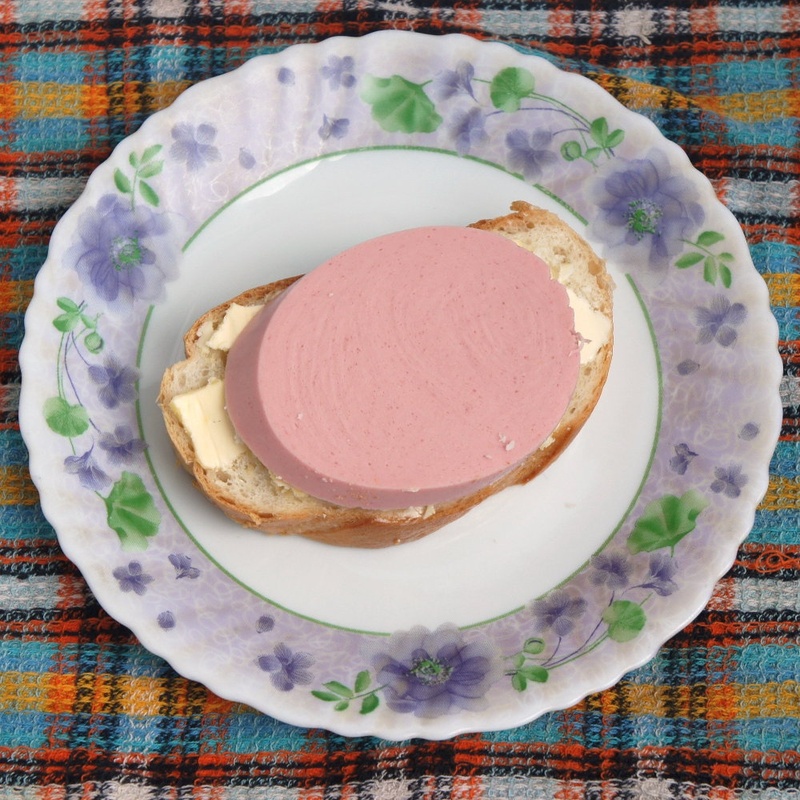 The typical Soviet snack was "бутерброд" (from German "butterbrot," literally bread with butter), and it was a slice of white or black bread, smeared with butter, and with a slab of bologna on top, or maybe cured meat, if you could afford it, and a slice of cheese, if you wanted to be fancy. Plus some people would top it with a slice of tomato or cucumber. But mostly it was bread and butter and some meat stuff. Or, it could be sprats in oil, just slapped on top. (Or caviar, if you were lucky and got it.) Oh, and I also loved scraping out the marrow form the bones (my grandmother cooked broth from them) and plop it on top of a thick hunk of black bread. Not mentioning "сало", which is really just salted pork fat (like bacon but without any meat). That went well in the winter. My grandmother would buy a huge piece of fat and put it a tub of salt and shove the whole thing out on the balcony in the winter, where it would salt and cure on its own. So once again I'm writing about "бутерброды" in TUBE (calling them sandwiches, but maybe I should insert Russian words and call them buterbrods or something), and salivating here. NOW I WANT ONE. TAGS: Food, always makes you nostalgic, especially food from childhood, YUM, I could write about it, forever, what snacks did you eat?, when you were a kid?